Last Sunday I visited my old record store in Leiden. Especially to look at the second hand section. The prices are so much sweeter than in my new town. Literally two to three times less for records that are usually in better condition as well. So, I came home with a copy of She Loves You, 55 years old without a single scratch on either side. For only €3. Another The Beatles single scratched off my list. It is the EPs that are extremely costly. They easily do €40-50, if I ever run into them. A bit steep. The Imagine box is in stores I noticed. The White Album on 9 November. The price they dare to ask is phenomenal. I heard something like €280! That will take a while before I'll go that way. In the end for outtakes of outtakes. The Analogues experience in February this year will have to do for now. 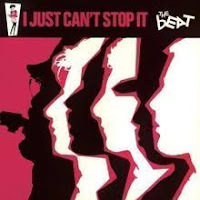 What I wanted to write about really is the copy I bought of I just can't stop it by The Beat. I had never contemplated buying the album before. I knew and somehow liked the singles 'Mirror in the bathroom', 'Tears of a clown' and two others. It stood there for €3 and I thought, well, why not. Reconsidered and decided to bring it home. The ska/two tone thing was funny around 1980. Yes, I have a copy of Madness' first two albums, a few singles of The Specials and The Selecter, but that is about it. I'll throw in The Police here as well, as they played a fair mix of punk and ska/reggae when starting out and UB40. It never really was my thing, although all bands produced some great singles, even fair albums, with Madness being my favourite, followed by The Police. The Beat came as a sort of fifth wheel on the wagon at the time. When all had been said and done, it seemed to me then. I shelved them in the same league as Fine Young Cannibals and thought them of the same "age". This album is from 1980 I discovered. So a few years older than FYC. It is 2018 and I found to have discovered the best ska/two tone record made, ever, 39 years late. This album is so alive, so full of great songs and with a great sound as well. I haven't stopped playing it in the past two days. The singles aren't even the best songs on the album. Would I have liked it then? Obviously not (enough). Time does change ears and perceptions I find. So, how are your black and white blocked two tone hats keeping up in 2018? Never really been into two-tone (my wife is a big fan though), punk although I enjoy traditional 70s reggae occasionally. I do like The Police and The Stranglers…. I used to know Jean-Jacques Burnel in the 70’s when he worked as a temp for the Department of the Environment… he was then in The Guilford Stranglers (the original name of The Stranglers)… He was a bit ‘full of himself’ but pleasant enough! 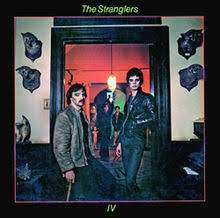 If you are not familiar with the Stranglers listen to the No More Heroes album… one of my favourites! https://www.youtube.com/playlist?list=PLuBYqvVEcYn8N3XQVf-m1K7QdvmF_kHxr and Rattus Norvegicus https://www.youtube.com/playlist?list=PLRRe_urOjL__6_qS79-4qlCgr6tTYcem4 . You may have heard one of my favourite tracks 'Golden Brown’ from the album 'La Folie’. The keyboard player Dave Greenfield was a big Yes fan! Nice story knowing JJ Burnel personally and through work as well. I had skipped punk more or less, being fully into my Pink Floyd, David Bowie, The Rolling Stones period, it just didn't match well. The The Sexpistols' album and Iggy Pop's 'Lust For Life' aside, I had nothing at the time. With The Police I did move into the ska/reggae/late punk movement. I forgot to mention Joe Jackson yesterday, who I still sort of follow again since the 00s. A new album is announced for early Spring next year. His last one was so beautiful. Another hero was Ian Dury of course. He produced a few fantastic singles that I love playing right up to this day. So I have I think three The Stranglers albums, but all from the 80s when the band started scoring hits over here. 'Golden Brown', 'No Mercy', Skin Deep'. Songs I still love. 'No More Heroes' was the punk hit single over here. Yes, perhaps it is time to get myself acquainted with the two albums you mentioned. Just never got around to it. And I like punk a lot more since Green Day and The Offspring broke big in the mid 90s. So why not The Stranglers? Through the blog and the living room shows we host regularly I am getting to know more musicians personally. Most from more or less obscure bands. It is nice but to some extend astonishing to see the dedication these musicians have for what they do. The believe they show in their own work and how hard they have to work for it. In this direction there is a novelty for the blog. I am quoted on the cd sleeve of The LVE's new album and mentioned in the thank you section. Now that is fun. The release is next week Friday. In the deserts of Sudan, and the gardens of Japan.........wonderful! Timeless perfect single; amazing musicianship - mainly down to Chas Jankel but don't hear much about him these days. The Beat: John Peel played them a lot which is why I've got the Go-Feet 1981-2 lps and 12 inch singles - Stand Down Margaret (T!) is a classic. Somewhat in the shadow of The Specials and Madness but they were incredibly tight. My record shelves are also strong on the original Specials: Ghost Town is a masterpiece "Government leaving the youth on the shelf..." -some things never change. But Nelson Mandela was freed eventually. I came across another, more recent, masterpiece out of the blue watching an inflight movie recently: She's Got You High by a band I'd never heard of called Mumm-Ra from Bexhill-on-Sea (!). They put out an album in 2007, disappeared for a while but re-surfaced in 2013 apparently. Sheer perfection - just like The La's There She Goes. It's a great film too: (500) Days of Summer - an American "rom-com" as they say that I could connect with which is a rarity: the soundtrack, also including The Smiths, The Doves and Simon & Garfunkel, is a bonus! 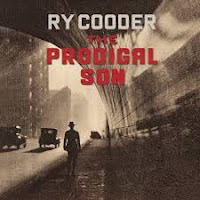 Going to see Ry Cooder tomorrow: his latest album The Prodigal Son has some tremendous guitar work and reminds me of the eclectic folk/blues/jazz albums he put out in the 1970s like Paradise & Lunch, if you are familiar with them. My treasured Into The Purple Valley gatefold dates from my last year at university and the last time I saw him in concert was The Slide Area tour which was 36 years ago (gulp!) when I was still enduring my first civil service job liquidating companies in the Insolvency Service (such sweet memories....). Ry Cooder also introduced me to the beautiful sounds of Hawaiian slack-key (records are very hard to find in Europe - and expensive on eBay). I'm meeting up with David Souter (IGF, UNESCO and folk music aficionado) at the concert by the way. We went to see Steve Earle together. See you at the Paris IGF, Wout? It will be my last IGF actually. We could check out again that record shop you found off the Blvd Garibaldi. I might be low on funds though after shelling out for the must-have Dylan More Blood on the Tracks 6 cd boxset which is released in a couple of weeks' time. And I've just got the Imagine box actually - still working my way through that (except the two blu-ray discs that I don't have the technology to play: they should have allowed the option not to have those) - and as you say there's The White Album one coming too which will be a treasure trove. 50th anniversary box sets - doncha just love them! No time to play them and I'm running out of shelf-space (again). Yes, I love the lyrics of 'Hit me with your rhythm stick'. They sounded so exotic to my 19 or 20 year old ears. I pictured all these places he sings about in my mind and envisioned bent, little Ian Dury there as well. It's years that I thought about Chas Jankel. When he split with Dury, the latter certainly became less interesting. 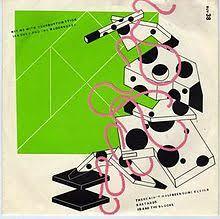 I have a Chas Jankel solo album even, with AI no corrida on it. A great song at the time as well. It's unplayed since the early 80s for sure. So what condition is it in? Some of my older records have somehow leaked from within themselves it seems, turning them unplayable. No scratches but all blotches of whatever chemical reaction the substance is. Most are fine though, even after decades. So what the cause could be I don't know. At the time I liked Madness best. The nutty sound quite appealed to me and still does. Although I do not need to see the band play in 2018 for too many euros. Ghosttown by The Specials was a great single. It captured the title extremely well. At the same time the New Romantics started out, dwarfing the far better song, I remember. New Romantics? Whoever thinks about them now? My introduction to Ry Cooder was with 'Chicken Skin Music' in 1976. My first record 'The Slide Area', but the first album I truly liked was 'Paradise And Lunch' with the formidable 'Jesus on the main line' on it. I have most of his oldest albums now, bought second hand in the early 90s I guess. His output is so eclectic that I have given up in the past few decades. And not being the greatest fan of his voice, does not make me play him a lot these days. My upcoming shows are all in smaller venues. Blaudzun, Johan, Broeder Dieleman (although he sings in an incomprehensible dialect for me also, check 'Komma' out. A formidable album! ), Sophie Hunger, TMGS and Amber Arcades are all on the line. A lot of them on the guestlist. Having a blog comes with some privileges. Before that first a show with Sweetwood this evening. Our fourth gig this year. More than all the previous years together. It is so good to see how much tighter we become because of the gigging. It provides focus and we all work harder at becoming better. Your last IGF, Mark? Tell me all about it there. Yes, I am and invite you to join my workshop of course. It was an exhilarating concert - one of the most important for me of the last....10 years. One night only in a small church-like venue (Cadogan Hall) - we were perched in a gallery with wooden pews so it was an intimate setting with wonderfully clear and balanced sound. During the slower bottleneck guitar work-outs you could hear a pin drop. The rousing gospel and soul items were sheer joy with a trio of black singers in shimmering soulful harmony setting off his workman-like vocals - such as on the closing I Can't Win from Bop Till You Drop (I think that was his biggest seller - and I believe the first digital album recording - unbelievably from 40 years ago now). He dug only a little into his back catalogue - but including, yes: Jesus on the Mainline - …"...tell Him what you want: the line ain't never busy!" - because his new album The Prodigal Son - definitely a religious feel to the night!) is so strong. He extended his classic rendition of Woody Guthrie's Vigilante Man (from Into the Purple Valley) with some despairing Trump witticisms. Alas no slack-key but he didn't have the band for that (Yellow Roses on Chicken Skin Music, a song recorded in Honolulu, sends shivers down my spine every time I play it). Now in his early seventies, Ry Cooder looked strong and was in fine voice. The concert was one of those rare occasions when you sense you are in the presence of a great musical spirit and authority - and an absolute master of his art: Eric Clapton was spotted in the audience paying homage. I hope we won't have to wait so long to see him perform again in London. That sounds like one magical show. My experience is that the smaller the venue the more in awe people are of what is on offer. The anonymity disappears with silence as a result. When the artist is in great form the result is a dedication on both sides getting stronger and stronger. Those are the moments to cherish. Impossible to achieve in a hall or stadium and usually in a medium size venue. Too many people seem to tag along who are not really there for the music, but to come with friends or just socialise. Sometimes the talking is so bad, that the whole experience of the show is destroyed. Why pay all that money instead of going to the pub and shout over the music there and the other noise? Glad you've enjoyed this, Mark! McCartney is also releasing two archive boxes in December: Wings Wild Life (a much under-rated album) and Red Rose Speedway which is the patchy, largely overlooked release prior to Band on The Run - stand-out track is My Love with a beautiful guitar solo from Henry McCullough who passed away in 2016. Sad news reached me today. The Beat's singer, Ranking Roger died aged only 56.